Four Eyes - emma and co.
Not sure if it was the overwhelming sunshine or constantly being reminded by cool, nonchalant J.Crew models, but I have been loving the look of glasses lately. After being told that wearing fake prescriptions would "look really stupid" (gee, thanks beloved friends), I am transitioning back to sunglasses. 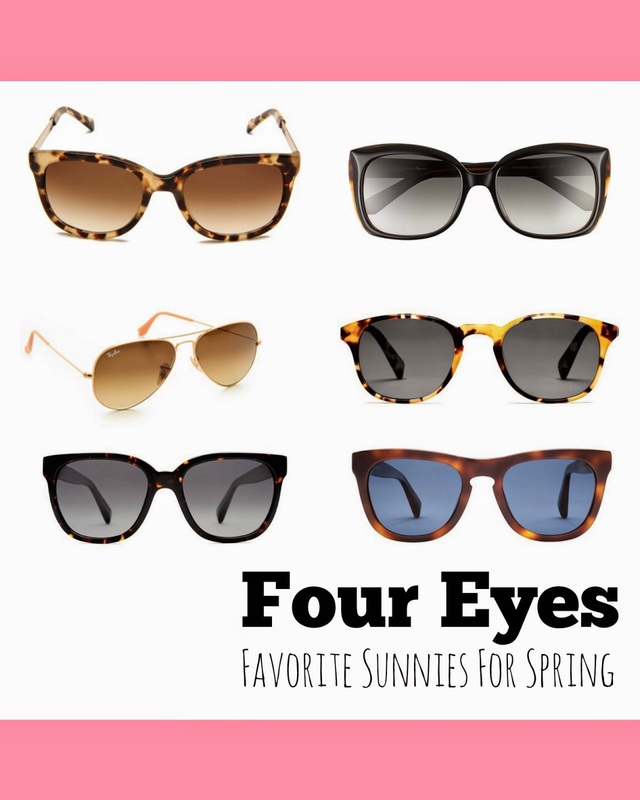 Here are some of my favorites for the upcoming warmer, brighter months. Any favorite brand recommendations? I would love to know! Happy Wednesday! Only two more days 'till the weekend!